The Steering Committee of Women Who Care, a project of the Elk County Community Foundation, invites you to join our caring group of over 200 area women. Our philanthropic organization continues to grow and make an impact throughout our communities and we invite you to be a part of it! A gift of $100 or more begins your annual membership in Women Who Care. Donors may donate at that level, or opt to give at a higher level. Various levels of membership allow women to pool their funds to make impactful contributions to the community. Your membership entitles you to vote on the organizations and programs that will receive funding each year. The Annual Membership Year runs from October 1st to September 30th. Gifts can be made anytime within the Annual Giving Period from October 1st to June 1st. 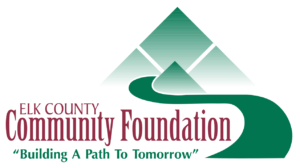 Over the past years, we have granted many thousands of dollars to local community non-profits who provide programs that enhance the lives of women and their families in Elk County. Each year we have grown, because of women like you. Please consider joining us. The more membership dollars we receive, the more we have to give back to our community. It’s easy to become a member. Our simple membership application will provide you with all the information you need to join Women Who Care. Give us a call if you have any questions about Women Who Care and what we do. We would love to speak with you.